Guest blogging is a method of writing blog post to be published on other blogger’s blog to increase the blog traffic. Guest blogging can be meant in two ways. Someone you accept to post on your blog or writing a blog post on another blogger’s blog. 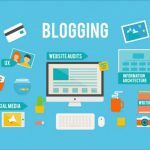 In either way, the main goal of the guest blogging is to build network with other people, increase traffic and grow relationship with other blog users. Let us see the benefits of posting a guest blog post. Guest blogging is a great way earn exposure, attract business partnerships and introduce your brand to people. But we need to find authority blogs that will help us gain the most authority and will give us most targeted exposure. I have discussed below on how to find guest blogging opportunity through searches. Guest blogging opens a great opportunity to reach new audience in your niche. Since the guest post is submitted on the other related blogs, your blog post on the another blogger’s blog will gain you attraction to their visitors and if it is a authority blog and receives a good traffic, chances are high for you to grab much traffic to your site. As per the blogging etiquette, a guest blog poster is allowed to post a brief Intro about their services/ products and a link to a website. There are two advantages when getting a link as a guest blog post. First, you get a backlink from your niche in the midst of the content. Search Engine value links from middle of the content more than the Footer link or from a links page. Then if the blog is authority blog you get a valid backlink. Subscribers are very important for a blog. If you have made and published a valuable guest post, you will get into the audience of another site who most likely subscribe your blog. Guest blogging thus helps you to increase your feed count and build your network. There are several communities for Guest blogging. Ann Smarty has started a MyBlogGuest Community for Guest bloggers, you can join here for free. Having a unique content is the basic requirement for successful Guest blog post. The Guest post should be relevant to the previous post that the blogger has made already. We need to put our best efforts and provide as much value to the new users. If we have done our best, the post will get approved and we will reap the benefits that guest posting has to offer. If you would like to know more about our services at Seo Services Group, please contact us, we will get back to you quickly. Well written.Press releases is an effective means of sharing information about your company and new product/service/website being launched.A Professionally written and well distributed press release can be huge boost to SEO and targeted traffic as well. Guest blogging is really a best method to get backlinks and generating traffic to our websites. Recently, one of my guest post get published on techmagnets.com website and I got 53 visits from this website within a day. I was surprised to see such traffic. All the traffic was genuine as the conversion rate also get increased. I would suggest to all who are int the field of Online marketing. Guest Blogging do help alot to get the website rankings and links but the published guest post should be o good quality also that readers love to read..
Hi thanks for the awesome post and I like this post very much.keep sharing the stuff like this may help the people like us. In any case I will be subscribing to your rss feed and I hoe you write again very soon! This internet site is my breathing in, extremely excellent layout and perfect content material. Keep all the articles coming. I love reading by way of your things. Cheers. Google is my king helped me to locate this wonderful website ! . After study a handful of the websites on your personal internet internet site now, and that i truly like your technique for blogging. I bookmarked it to my bookmark website list and you will be checking back soon. Pls take a look at my web page too and told me what you think. A formidable share, I just given this onto a colleague who was doing a bit of analysis on this. And he the truth is bought me breakfast because I discovered it for him.. smile. So let me reword that: Thnx for the treat! But yeah Thnkx for spending the time to debate this, I feel strongly about it and really like reading more on this topic. If doable, as you turn into expertise, would you thoughts updating your weblog with a lot more details? It is extremely valuable for me. Massive thumb up for this weblog submit! Wonderful – I should certainly pronounce, impressed with your internet site. I had no trouble navigating by means of all tabs as properly as related data ended up being truly simple to do to access. I lately identified what I hoped for before you know it at all. Reasonably unusual. Is likely to appreciate it for those that add forums or anything, site theme . a tones way for your customer to communicate. Nice task. First off I would like to say fantastic blog! I had a quick question that I’d like to ask if you do not mind. I was interested to find out how you center yourself and clear your thoughts prior to writing. I’ve had a difficult time clearing my thoughts in getting my ideas out there. I do enjoy writing however it just seems like the first 10 to 15 minutes are generally wasted just trying to figure out how to begin. Any recommendations or tips?